5 different scanning patterns pre-programmed for vertical and horizontal scanning. 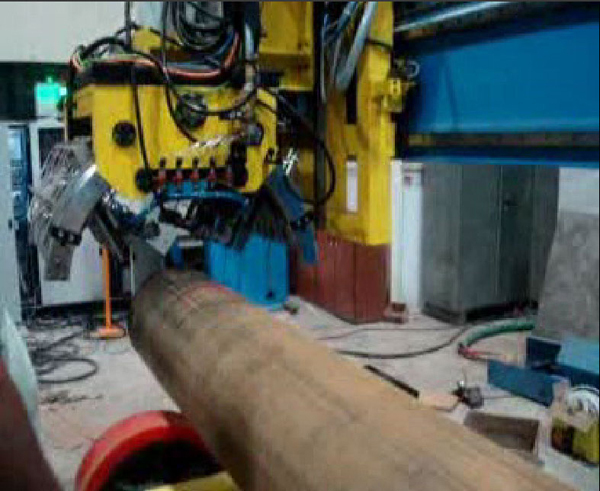 For ultrasonic testing of the steel coil as it gets uncoiled on the saw pipe mill. Comes with two modes of operation, online (scanning mode) and offline (calibration mode). 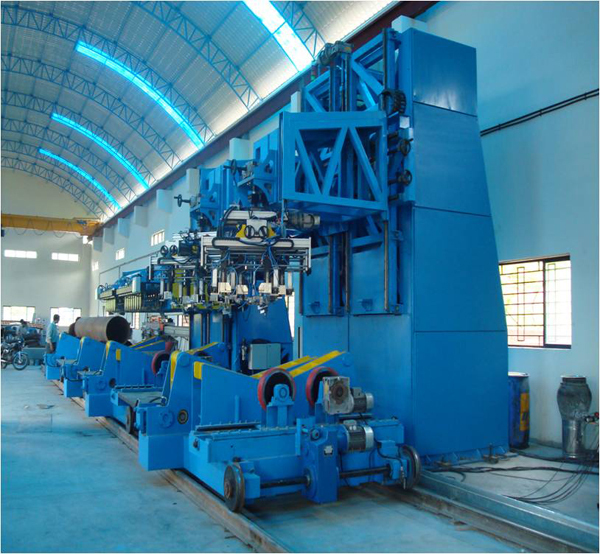 Coil width varies from 600 to 2000 mm. Max. 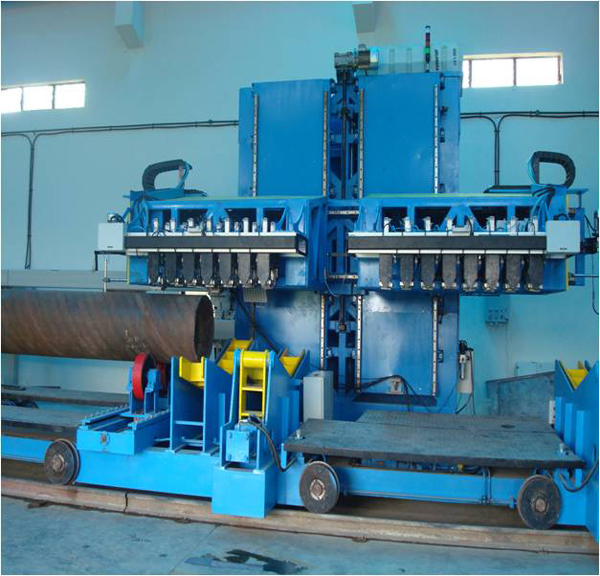 Plate width 5000 mm. Independent landing and control for each cluster. Settable edge scanning probe clusters. Automatic paint marking system. 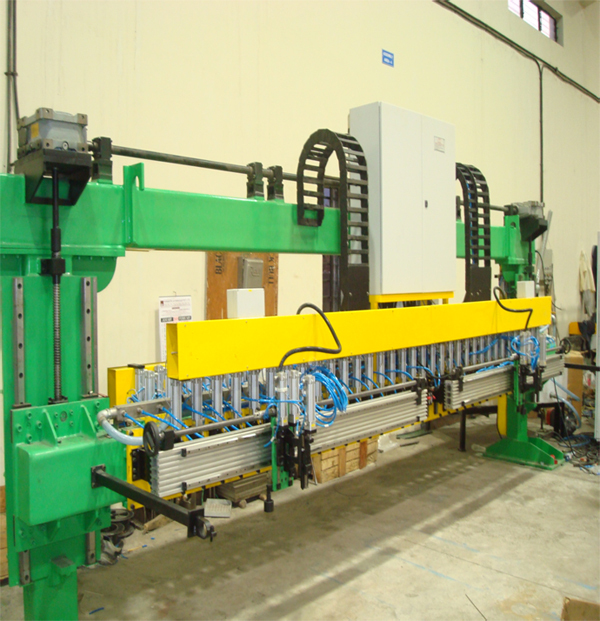 Handling system for ultrasonic testing of bars. With infeed and outfeed conveyors, elevating table, pinch rolls, automatic paint marking system. 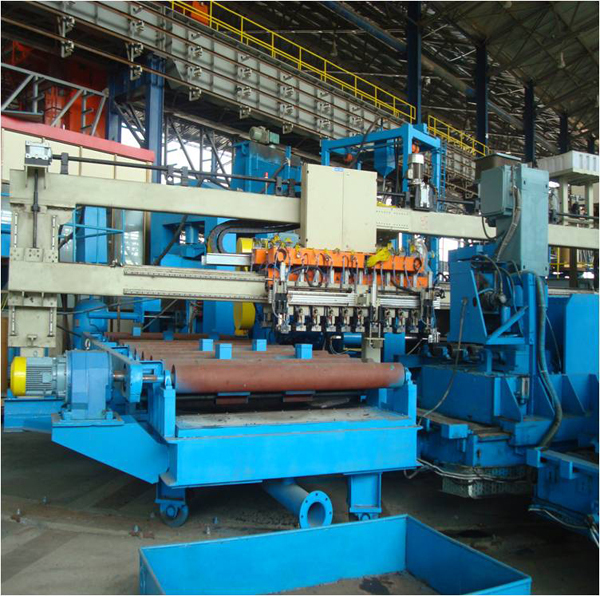 Pipe length – 12500 mm max. 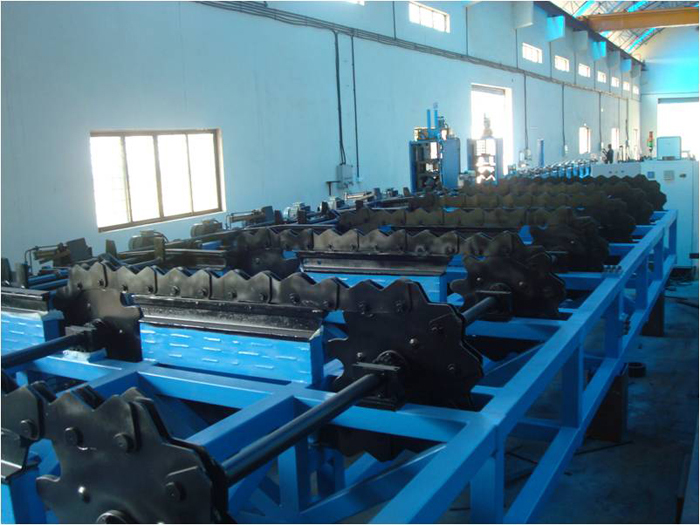 Pipe length – 6000 mm to 18000 mm. Testing speed - 25000 mm/min Max. 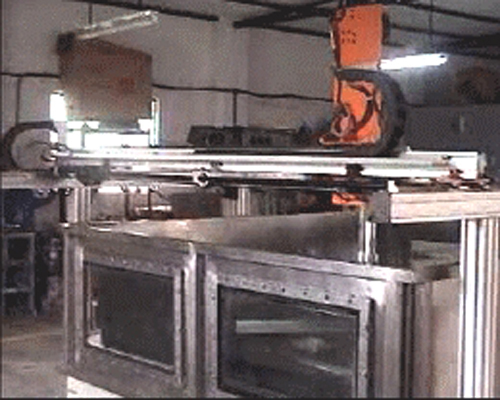 speed of gantry axis - 60,000 mm / min.